165gsm 100% Polyester mini waffle Micro-DryTM Regular Fit Latest Micro Dry technology - Cool and comfortable. Sporty panels - Allows for contrast colour. Large contrast yoke panel - Print on the contrast colour. 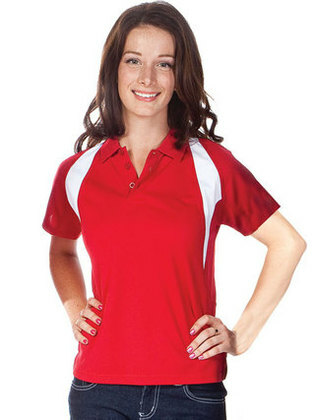 Ideal for team and school sport uniform, corporate, workwear, promotional etc. Matches with our men's and Jnr Excel Polo's. White/navy, red/white, navy/white, royal/white, black/white or aluminium/black.